In consideration of Mother Nature’s gift of snow, which means icy roads, the February labyrinth walk at Church of the Redeemer has been postponed to February 19, 2019, at 7:00pm. The theme this month comes from our friends at Global Healing. The yearly theme is Intention, which starts with Attention! Church of the Redeemer is at 6210 NE 181st St, Kenmore. Plan on joining us, weather permitting. Can’t make it? Ask for an emailed copy of the walk. Need a paper labyrinth to finger walk? Again, please ask. 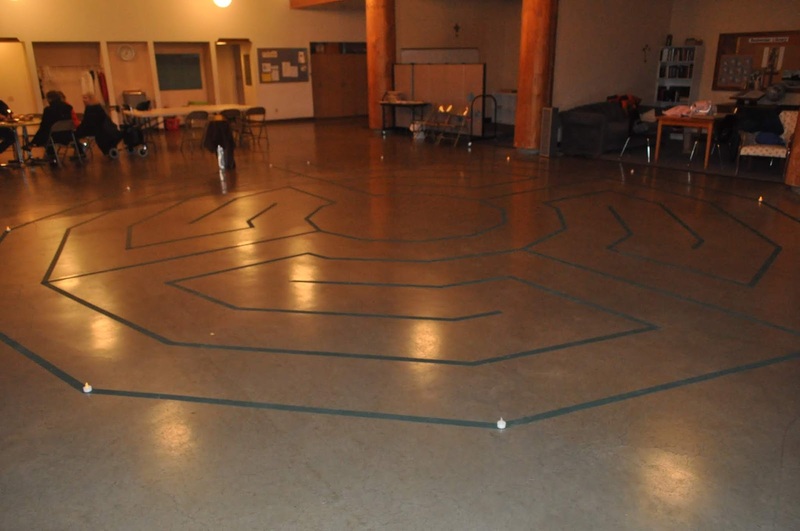 Send an email to labyrinth@redeemer-kenmore.org. An ongoing practice of labyrinth walking can be an exciting and meaningful discipline. Labyrinth walking, whether on one’s feet or on a table top with a finger or stylus, can add to the journey of faith. Find the quiet center of one’s life. Facilitate calm and stillness in a hectic world. Celebrate joyful occasions and happenings. Seek faithful clarity amidst life’s challenges and opportunities. Seek healing for emotional and/or spiritual wounds. Commemorate significant events or holy days. Community life at Redeemer centers on worship in the Episcopal tradition. Art and music vitally deepen this worship. Our faith expresses itself with service to people, locally to internationally. Church of the Redeemer is at 6210 NE 181st St in Kenmore. The campus is a short distance north of Bothell Way, near the Burke-Gilman Trail. The entrance looks like a gravel driveway. The campus is larger on the inside than it is on the outside. And, we managed to hide a large building on the side of a hill that is not easily seen from the street.